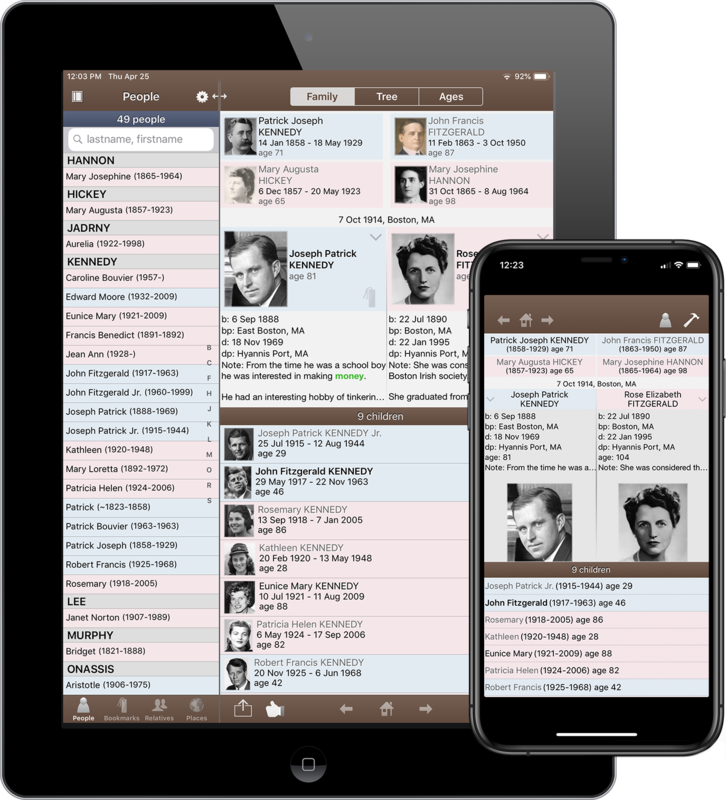 ReunionTouch is a single, universal app for Apple's mobile devices and is designed to work with Reunion 11 or Reunion 12 for Mac. ReunionTouch lets you take your family with you. View, navigate, search, and edit your information on the go. You'll always be ready to add people, add pictures, document new information, and make corrections to your data -- all while automatically staying in sync with Reunion for Mac. To use ReunionTouch on your mobile device, you'll need to have Reunion 11 or Reunion 12 installed on your Mac. If you're using an older version of Reunion, click here for upgrade details. If you've never used Reunion before, click here to purchase. You'll also need an iPad or iPhone running iOS 9.0 or newer, a Dropbox account, and Dropbox installed on your Mac. Dropbox requires Mac OS X version 10.9 or newer. New Features in ReunionTouch - Watch this if you're still using the old apps (Reunion for iPhone/iPad) which were discontinued in 2015. This video shows some of the new features added in ReunionTouch. Apple, the Apple logo, iPad, iTunes, the iTunes logo, and Mac are trademarks of Apple Inc., registered in the U.S. and other countries. iPad and Multi-Touch are trademarks of Apple Inc. Other product and company names mentioned herein may be trademarks of their respective companies.